Growing up in Grand Rapids, MI, Chef Adam Zoscsak developed an early appreciation for farm-fresh food and Midwestern purveyors. After school, he moved to Seattle where he began his culinary career at a small restaurant that emphasized locally-sourced products and a seasonally changing menu. With the Midwest calling his name, he set his sights on Chicago and began working in the kitchen at Del Toro where he met his now-colleague and mentor, Chef Andrew Zimmerman. 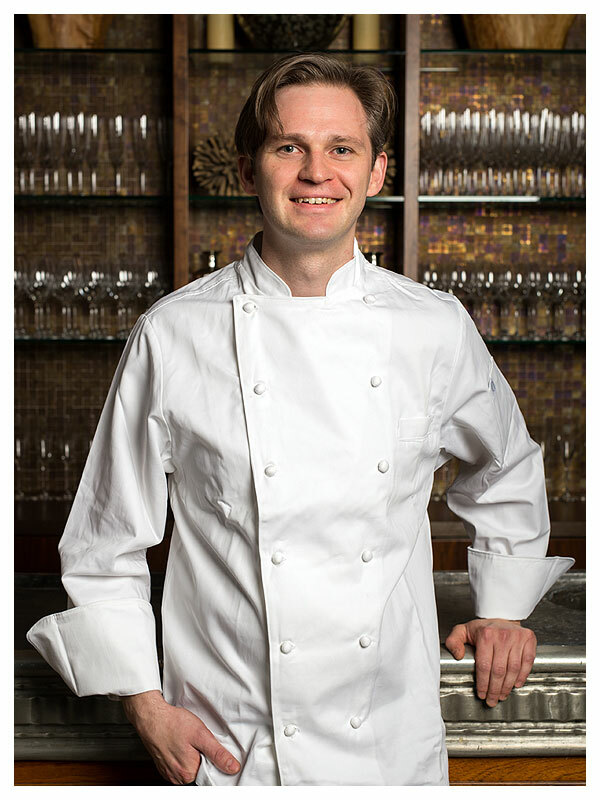 Immediately inspired by Zimmerman’s cooking style, Zoscsak relished in learning new techniques and working on recipes with the lauded chef. Zoscsak left Del Toro in 2009 and took a short break to travel and stage in New York City and San Francisco kitchens, an experience he credits with giving him a new perspective on cooking. Upon returning to Chicago, Zoscsak joined Zimmerman in his new kitchen at Sepia in the West Loop. Working first as chef de tournant and then sous chef, Zoscsak cooked alongside Zimmerman, helping him create the inventive, American cuisine that Sepia quickly became acclaimed for. In 2011, the team earned a one star rating in Michelin’s first Chicago guide and since then, has maintained the coveted honor. In May 2017, when Sepia partners Andrew Zimmerman and Emmanuel Nony focused on launching their second restaurant, Proxi, Zoscsak was promoted to chef de cuisine. He now helms the kitchen with Zimmerman, regularly updating the Michelin-starred menu with seasonal and creative dishes.